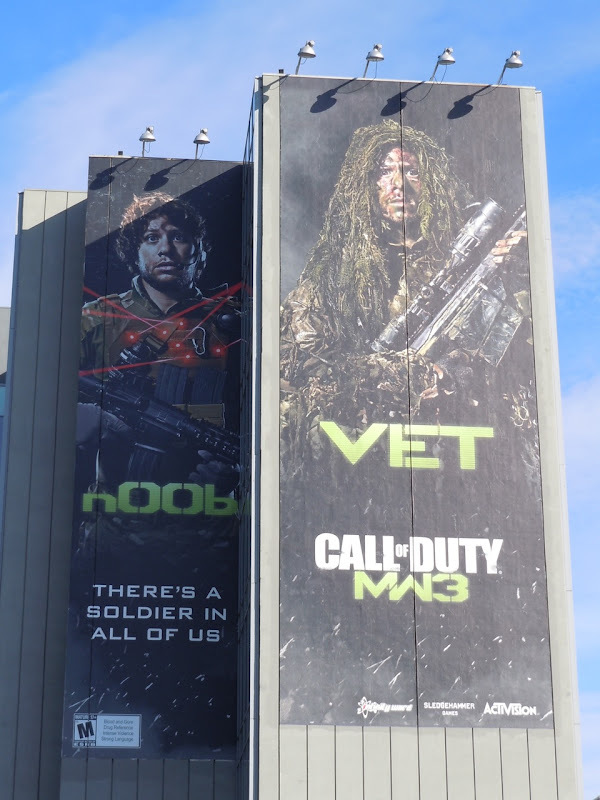 Today it's another Battle of the billboards and this time it's war, quite literally, with these two fantastic video game billboards. 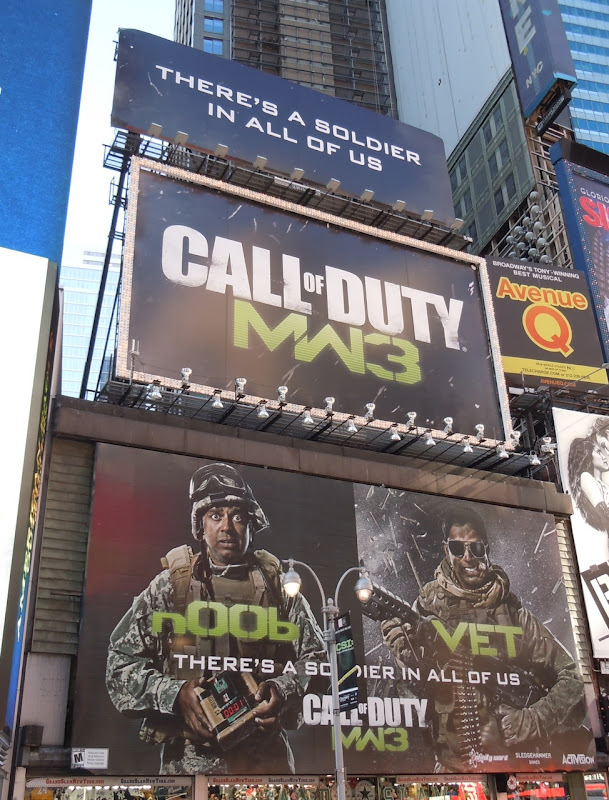 The super-sized silhouetted soldier in the Call of Duty: Modern Warfare 3 billboard makes a real impact, really standing out against that simple white background, but Battlefield 3 looks equally dramatic, with some vibrant colour to catch your eye. 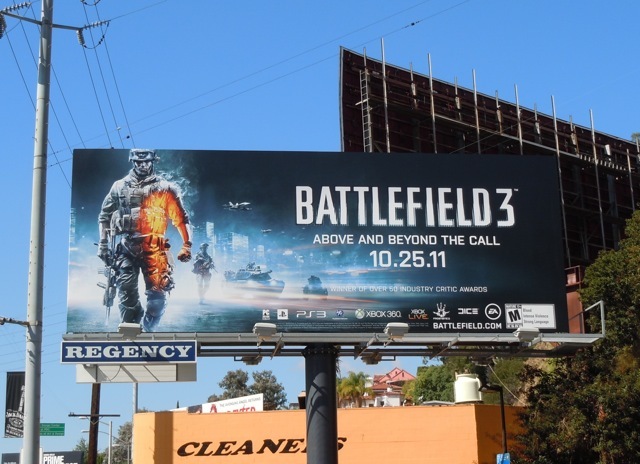 This giant Call of Duty billboard was snapped along L.A.'s Sunset Strip on October 13 and standard size Battlefield 3 billboard a week earlier further east along Sunset Boulevard on October 6, 2011. 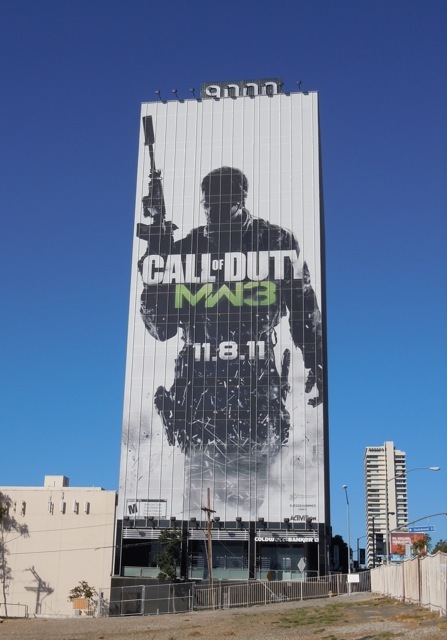 There's obviously some social commentary to be said about these images glorifying war on our city streets, especially targeting the young male game-playing market, but that sounds far too serious. 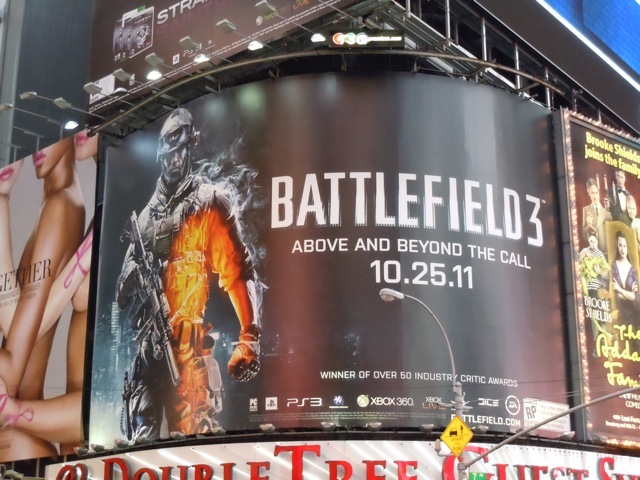 Who do you think goes above and beyond the call to be the winner of this armed combat in advertising? 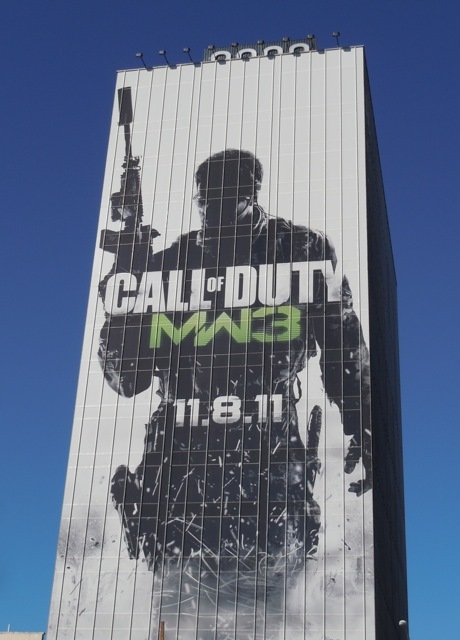 UPDATED: Here's another ad creative for Call of Duty MW3, plus a slightly different creative for Battlefield 3. 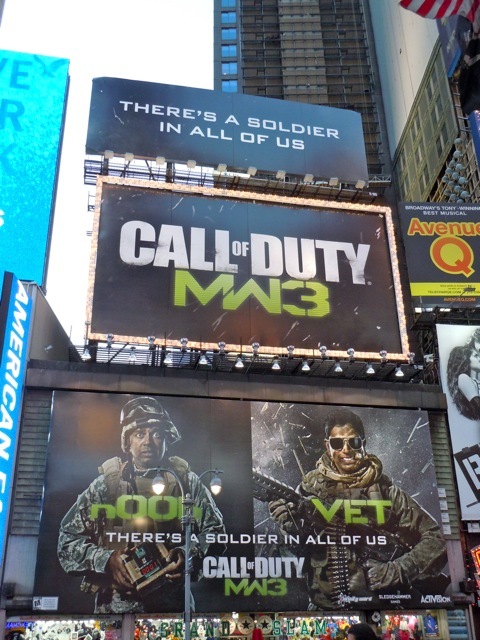 Both sets of billboards were snapped around New York's Times Square on November 5, 2011. 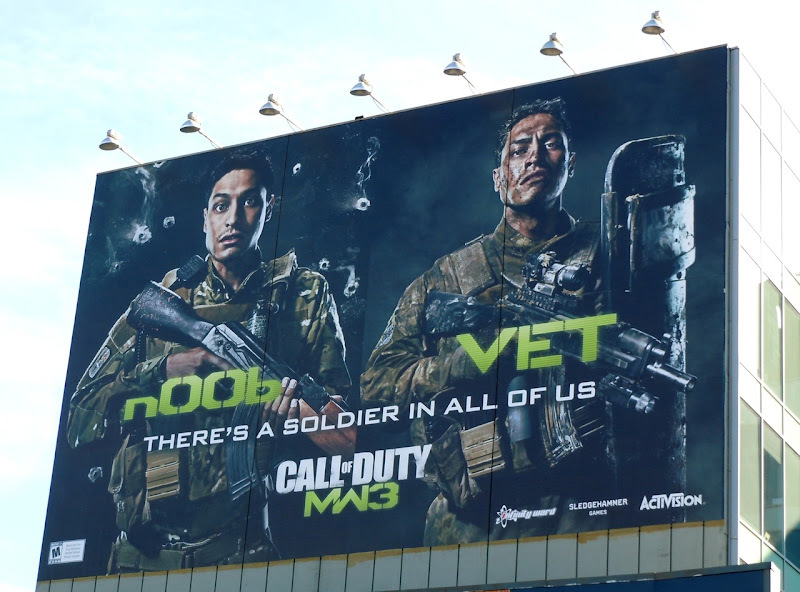 UPDATED: Check out even more billboards in the 'Noob/Vet' campaign for Call of Duty MW3. 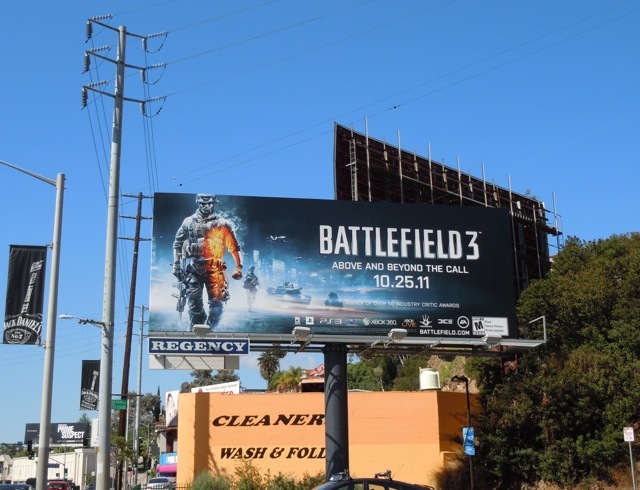 These super-sized ads were snapped at Highland and Franklin Avenues in L.A. on November 13, 2011. Apparently, there's a soldier in all of us.